← What Makes a Web Writer? 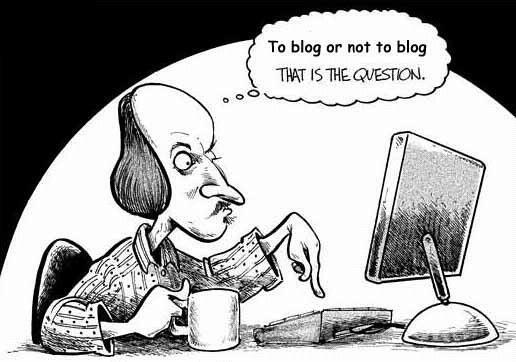 Once upon a time, blogging was something business owners could do to stand out from the crowd. Now, of course, business blogging is a pretty widespread trend; not every company does it—not by a long shot—but enough do that just starting a blog is probably not enough to help your company stand apart. In a world in which everyone blogs, how can you make sure your blog gets noticed? The answer may be to stir up a little old-fashioned controversy. A controversial post is, by its very definition, one that veers away from conventional wisdom—one that finds you walking a different path, taking a different stance, than what’s expected of you. Controversy can be a powerful tool for drawing attention to your company’s blog, but it is important to court controversy intelligently and strategically. First, what do we not mean when we talk about writing controversial blog posts? First, a controversial post is not just a rant. You may need to vent, to blow off some steam or to complain about the state of your industry, but the company blog is not the place to do it. Rather than letting loose with an angry or cranky tirade, make sure you’re making a reasoned argument, with real facts to support it. A controversial post shouldn’t be a ramble, either. Nobody wants to read 2,000 words of ill-conceived prose. Get to the point. Make your surprising point, back it up, then be finished. Finally, a controversial blog post should never include rudeness, offensive words, personal attacks, or petty insults. Controversial is okay; mean is not. Leave your boxing gloves at home. Picking a Fight. The “Picking a Fight” post works best for smaller companies that want to position themselves as viable alternatives to big, giant companies. Let’s say you’re a small e-commerce site, specializing in rare or hard-to-find books. You might write a post detailing reasons why your service is better than Amazon.com’s. There’s surely a compelling case to be made here—but remember, don’t veer into flat-out defaming Amazon, or make it seem like your beef with Amazon is a personal one. Compare and Contrast. If you have reservations about picking a fight, you can always do a “Compare and Contrast” post, skewering one of the sacred cows in your industry and offering a bold alternative. Say you run a small business marketing consultancy, and everyone in your field is obsessed with Vine—but you really believe Instagram Video is the superior product. Write a blog post explaining why. Mythbusters. Finally, there are the “dispelling popular myths” posts, where you break from the conventional wisdom of your industry. These posts can be great, but only if you’re really targeting widely held views—not older “myths” that have already been largely abandoned. Good blog posts will get your company noticed—and inviting some controversy is one great way to ensure your blog posts are truly noteworthy. For more help or to learn how Grammar Chic, Inc. can assist with your blogging strategy, call 803-831-7444 or visit www.grammarchic.net.